Camping or caravanning across Europe is fun, but it is important to stay safe in case of any injuries. The DIN 13164 Vehicle First Aid Kit for European Travel provides peace of mind that you will be in good hands on your travels. What is Included in the Vehicle First Aid Kit? 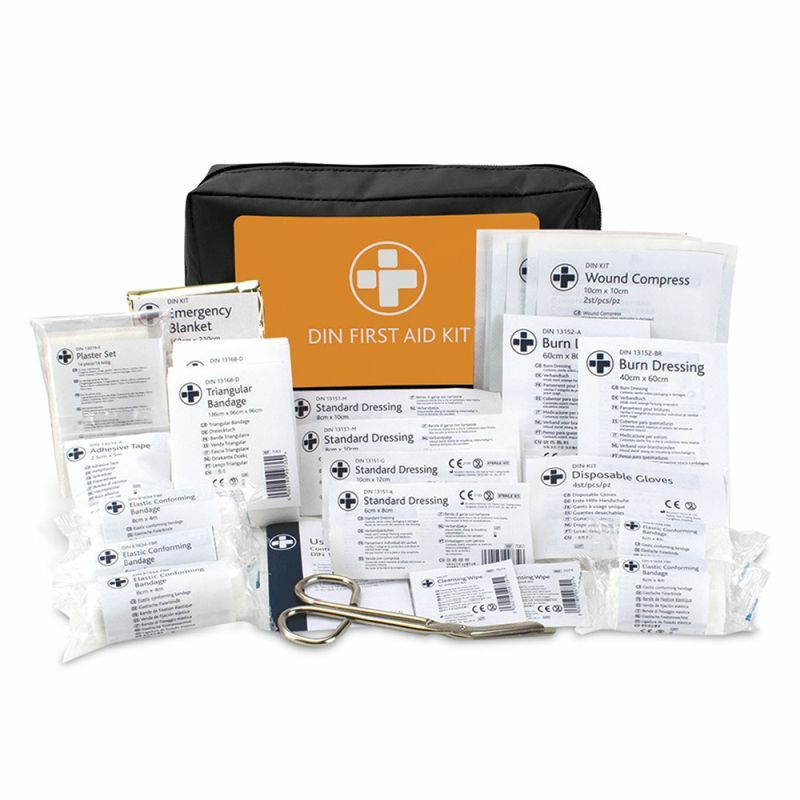 The DIN Vehicle First Aid Kit is an essential item when travelling abroad to make sure that you comply with the majority of European countries whose laws state that all vehicles must contain a first aid kit. The kit comes in a zipped, foldable storage bag and all products are supplied with multilingual descriptions. The DIN 13164 Vehicle First Aid Kit for European Travel is usually dispatched via First Class Royal Mail and delivery should be within 1 to 3 working days.